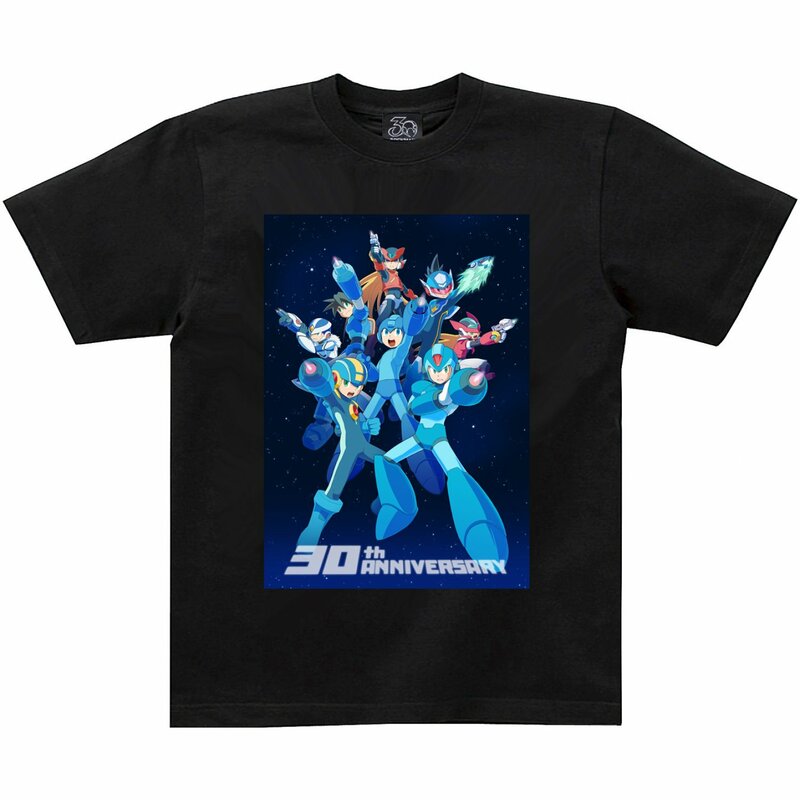 Play Asia, purveyors of import video games and related goods, are loading up on a pair of official Mega Man 30th anniversary t-shirts. Originally sold through E-Capcom, everyone outside Japan will now have the opportunity to scoop these up just in time for spring weather. Hit the link above and check 'em out. 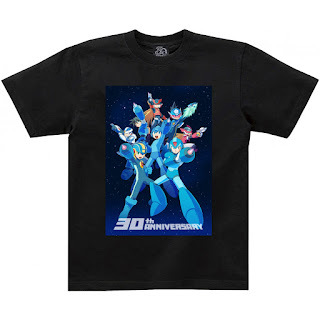 The shirts feature the very awesome 30th anniversary key art illustrated by Mega Man 11 charter designer Yuji ishihara. The image brings together all eight Mega Men (including Rockman Xover's OVER-1), readying their respective busters in unison. An official hi-res version of this piece has yet to be distributed; you can, however, grab a waifu2x enhanced version here. Not bad. Now i would have prefered that they make the whole shirt on the right with the stary background, with the characters in the middle rather than a centered rectangle only. the white one look good. 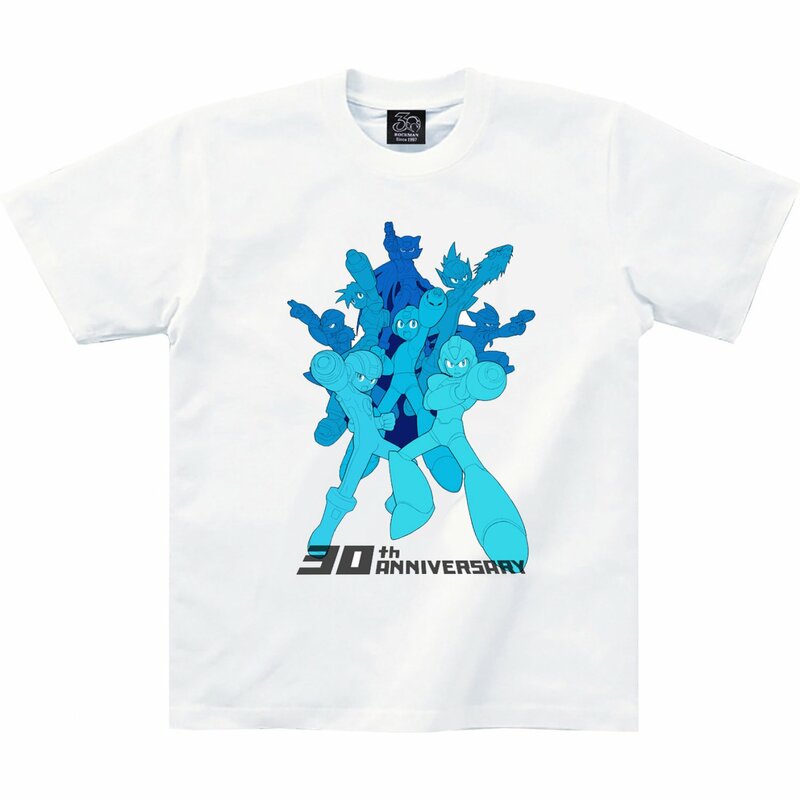 I like the white one's more abstract design, too bad that's not on the black shirt. I want one for half price!